not a bone of his body is broken. 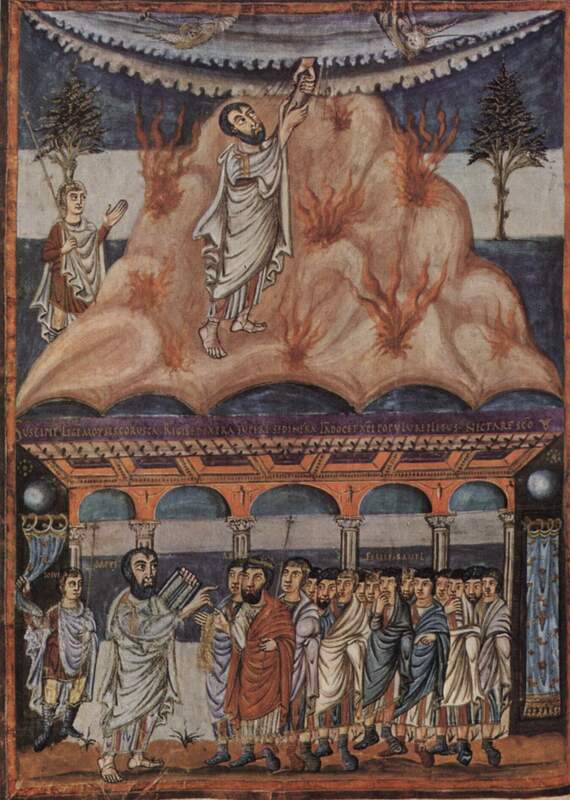 I have read and written of martyrs, such as St. James Intercisus (died circa 421), whose lives contradicted those verses. Reality has proven much of the Book of Psalms to be naively optimistic. Let us then lay aside the works of darkness and put on the armor of light; let us live honorably as in the day…. God destined us not for his retribution, but to win salvation through our lord Jesus Christ, who died for us so that, awake or asleep, we should still be united to him. So give encouragement to each other, and keep strengthening one another, as you do already. The rest is commentary; go and learn it. I apply the same statement to the remainder of the pericopes from Romans 13 and 1 Thessalonians 5. It is commentary; go and learn it. Living properly in community before God requires much of us. It means that we must put up with inconveniences sometimes, for the sake of hospitality, which was frequently a matter or life or death in Biblical times. It also means that, among other things, we must lay aside misunderstandings and encourage one another. 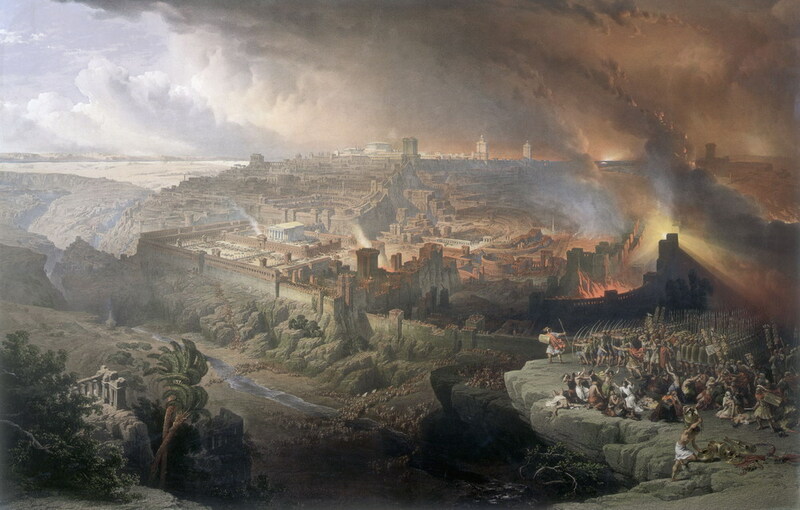 The altar in Joshua 22 was, in fact, not a threat to the central place of worship. Neither did it constitute evidence of any variety of treachery before God, contrary to the charge in verse 16. How many people might have died needlessly had the planned war against the transjordan tribes, based on a misunderstanding, occurred? Often those who plot and commit errors seek to behave correctly, but they proceed from false assumptions and understandings. This statement remains correct in current times, unfortunately. More people (especially those who decide policies) need to check their information more often. The rest of us (not the policy makers) carry erroneous assumptions in our heads. As I heard a professor who is an expert in critical thinking say years ago, our most basic assumptions are the ones we do not think of as being assumptions. How can we live in peace with our neighbors if we do not understand their actions correctly? We would gladly behold the day when the One, Holy, Catholic, Christian Church shall use one Order of Service, and unite in one Confession of Faith. We believe the average churchgoer will thank us for not putting in more than one Scripture lesson. In U.S. Lutheran Liturgy, Part I (https://blogatheologica.wordpress.com/2013/07/14/muhlenbergs-dream-the-road-to-the-common-service-1748-1888/), I wrote about the process which culminated in the unveiling of the Common Service in 1888. I chose not to write about that liturgy because I had already entered twenty-four pages of writing from a composition book. In U.S. Liturgy, Part II (https://blogatheologica.wordpress.com/2013/07/17/the-missing-canon-the-common-service-1888/), I focused on the Common Service. In U.S. Liturgy, Part III (https://blogatheologica.wordpress.com/2013/07/17/truly-meet-right-and-salutary-the-common-service-in-the-united-lutheran-church-in-america-and-the-american-lutheran-church-1918-1930/), I wrote about it in The United Lutheran Church in America (1918-1962) and The American Lutheran Church (1930-1060). 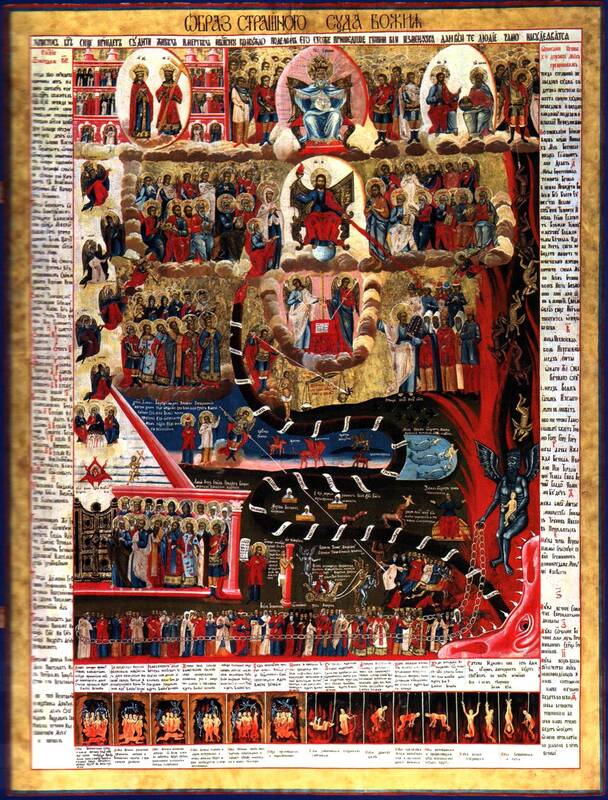 In U.S. Lutheran Liturgy, Part IV (https://blogatheologica.wordpress.com/2013/07/17/the-lord-is-in-his-holy-temple-liturgy-in-the-augustana-evangelical-lutheran-church-1860-1928/), I focused on The Augustana Evangelical Lutheran Church (1860-1962). In U.S. Lutheran Liturgy, Part V (https://blogatheologica.wordpress.com/2013/07/17/all-glory-be-to-thee-most-high-finnish-american-lutherans-1872-1963/), I wrote about Finnish-Americans. In U.S. Lutheran Liturgy, Part VI (https://blogatheologica.wordpress.com/2013/07/18/my-soul-doth-magnify-the-lord-missouri-synod-liturgies-1847-1940/), I turned my attention to the Missouri Synod. In U.S. Lutheran Liturgy, Part VII (https://blogatheologica.wordpress.com/2013/07/20/that-by-thy-grace-we-may-come-to-everlasting-life-norwegian-american-lutherans-1853-1963/), I wrote about Norwegian-Americans. In U.S. Lutheran Liturgy, Part VIII (https://blogatheologica.wordpress.com/2013/07/22/assembled-in-this-thy-house-danish-american-lutherans-1870-1962/), I focused on Danish-American synods. Now this leg of my journey through the history of the topic nears its completion with Part IX, in which I write about the Wisconsin Evangelical Lutheran Synod. I have been studying this material closely, trying to record information accurately as I have reviewed primary and secondary sources. This has required a commitment of much time, for there are so many synods about which to read. And, since I grew up United Methodist in southern Georgia, U.S.A., in the Baptist Belt, Lutherans were scarce, if present at all, when I was quite young. My spiritual journey has taken me into The Episcopal Church. Anglicanism and Lutheranism have many theological and liturgical similarities and considerable theological overlap, but my adopted vantage point is still one outside of Lutheranism. If I have misstated anything, I can correct it. The material is, by its nature, complicated. I have tried to organize and format it for maximum ease of reading and learning, however. So, without further ado, I invite you, O reader, to follow the proverbial bouncing balls with me. The First German Evangelical Lutheran Synod of Wisconsin (FGELSW) organized in 1850. Its real founder was the Reverend John Muehlhauser, whom the United Rhine Mission had sent to the United States in 1837. The Synod, which dropped “First” from its name in 1853, benefited greatly from missionaries whom the Basel Missionary Society sent, as did the Minnesota and Michigan Synods. The Evangelical Lutheran Synod of Michigan and Other States (ELSMIOS) formed in 1860. Its real founder was the Reverend Friedrich Schmidt, whom the Basel Missionary Society had sent. The Evangelical Lutheran Synod of Minnesota and Other States (ELSMNOS) came in existence in 1860, midwifed by the the Wisconsin Synod. The Minnesota Synod’s real founder was the Reverend Johann Christian Friedrich “Father” Hayer, a missionary to the U.S. frontier and to India prior to 1860. The Wisconsin Synod became a center of gravity within U.S. Confessional Lutheranism, as we will see. We will also see that some Confessional Lutherans were more Confessional than others. There were (and are) Lutherans then there were (and are) Lutherans. The Wisconsin, Michigan, and Minnesota Synods helped to form the General Council of the Evangelical Lutheran Church in North America (1867-1918). The General Council broke away from the General Synod of the Evangelical Lutheran Church in the United States of America (1820-1918), which the founders of the General Council perceived had become too liberal and permissive. But the basic problem of with an obsession for doctrinal purity is that some of the “pure” are purer than others, so more schisms ensue. Thus the Wisconsin Synod left the General Council in 1869, followed by the Minnesota Synod and the Evangelical Lutheran Synod of Illinois (1847-1880) in 1871, then by the Michigan Synod in 1888. Some clergymen were alleged to have preached Premillennial doctrine regarding the Second Coming of Christ. Certain members belonged to secret societies. Some ministers had preached in non-Lutheran churches and certain non-Lutheran clergymen had preached in Lutheran churches. And some non-Lutherans were taking the Holy Communion in Lutheran Churches. Our churches teach that at the end of the world Christ will appear for judgment and will raise all the dead [1 Thessalonians 4:13-5:2]. He will give the godly and elect eternal life and everlasting joys, but He will condemn ungodly people and the devil to be tormented without end [Matthew 25:31-46]. Our churches condemn the Anabaptists, who think that there will be an end to the punishment of condemned men and devils. The General Council refrained from punishing its members who belonged to secret societies, preferring instead to educate them as to the error of their ways. This decision did not satisfy hardliners. And, in 1875, the General Council resolved that pulpit and altar fellowship should cease and desist. Yet, by that point, several synods had defected and others had chosen not to affiliate, citing these controversies. the Norwegian Synod (1853), which left in 1883, also during the controversy regarding Predestination. The Joint Synod of Ohio and Other States, having left the Synodical Conference, divided in 1882. The breakaway Concordia Synod of Pennsylvania and Other States (1882-1886) joined the Synodical Conference before merging into the Missouri Synod. The English Evangelical Lutheran Synod of Missouri and Other States (the English Synod of Missouri) (1888) joined in 1890. It merged into the Missouri Synod in 1911. 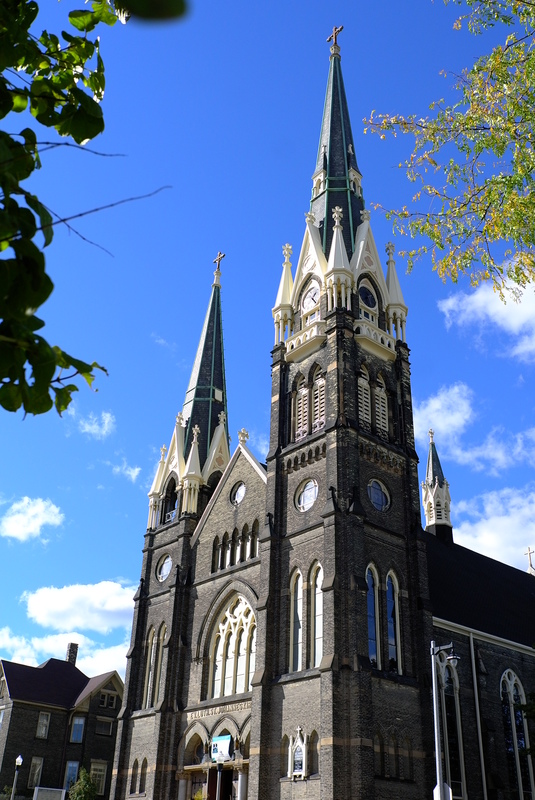 The Michigan Synod left the General Council in 1888 and joined the Synodical Conference four years later. The Slovak Evangelical Lutheran Synod (later the Synod of Evangelical Lutheran Churches), formed in 1902, joined the Synodicial Conference in 1910. The denomination merged into the Missouri Synod in 1971. The German Evangelical Lutheran District Synod of Nebraska and Other States, formed by Wisconsin Synod pastors in 1904, joined six years later. The Norwegian Synod, which left the Synodical Conference in 1883, found its unity with other Norwegian-American Lutherans. Its remnant, The Evangelical Lutheran Synod (1918), joined the Synodical Conference in 1920. The Wisconsin, Michigan, and Minnesota Synods federated in 1892 as The Evangelical Lutheran Joint Synod of Wisconsin, Minnesota, Michigan, and Other States in 1892. These three plus the Nebraska District (1904) merged to form a new denomination in 1917. That body retained the federation’s name for two years, becoming the Evangelical Lutheran Synod of Wisconsin and Other States in 1919 then the Wisconsin Evangelical Lutheran Synod (WELS) in 1959. The Wisconsin Synod and those Confessional Lutheran bodies similar to it worshiped primarily in their ancestral languages into the first few decades of the twentieth century. The Missouri and Wisconsin Synods, for example, worked and worshiped primarily in German until the anti-German hysteria during World War I forced many members to hasten the transition to English. The Wisconsin Synod published its first English-language hymnal-service book in 1911. This was The Church Hymnal for Lutheran Service, with 115 hymns and four pages of liturgy. The volume, out of print by 1923, was not impressive, but it was a start. More lasting was the Book of Hymns (1917), with 320 hymns and sixteen pages of liturgy. The Sunday service, simpler than those in other English-language Lutheran service books of the time, required only one reading from the Bible (as opposed to the customary two lessons). Within a few years the process of creating the Synodical Conference’s classic Lutheran Hymnal (1941) was underway, and the WELS was on board. However, when The Lutheran Hymnal (1941) debuted, it caused some opposition among certain WELS congregations, unaccustomed to such a formal service. I have had to write about some complicated material, for that is the nature of portions of the U.S. Lutheran past. All of these synods can become confusing quite quickly, can they not? At least many of them converged and merged over time. My strategy in presenting this material has been to do so in as clear a way as possible. I hope that I have succeeded. WELS service books in English were primitive before The Lutheran Hymnal (1941). I wish I could write honestly that post-Lutheran Hymnal WELS worship resources were impressive, but I, having drafted that post long-hand already, know better. Erickson, Anne. “God Wants to Help Parents Help Their Kids.” Pages 8-9 in The Lutheran Ambassador (April 10, 2001). Marggraf, Bruce. ”A History of Hymnal Changeovers in the Wisconsin Evangelical Lutheran Synod.” May 28, 1982. Zabell, Jon F. “The Formation of Function of WELS Hymnals: Further Conversation.” For the National Conference of Worship, Music, and the Arts, July 2008.
then sudden destruction will come upon them, as labor pains come upon a pregnant woman, and there will be no escape! But you, beloved, are not in darkness, for that day to surprise you like a thief; for you are all children of light and children of the day; we are not of the night or of darkness. So then let us not fall asleep as others do, but let us keep awake and be sober; for those who sleep sleep at night, and those who are drunk get drunk at night. But since we belong to the day, let us be sober, and put on the breastplate of faith and love, and for a helmet the hope of salvation. For God has destined us not for wrath but for obtaining salvation through our Lord Jesus Christ, who died for us, so that whether we are awake or asleep we may live with him. Therefore encourage one another and build up each other, as indeed you are doing. Today I choose to leave the Gospel reading to a related post while I pursue another track. What else were we supposed to say? That is the sense I take away from Zephaniah. My fellow liturgy enthusiasts might know that the Roman Catholic Requiem Mass used to include the “Dies Irae” (“Day of wrath and doom impending”) section. More than one composer set it to music gloriously, with Verdi’s version being the one that plays inside my cranium most often. The lesson from Zephaniah was the basis of that Latin text. Anyhow, am I supposed to say “Thanks be to God” after the reading from Zephaniah? It is vital to remember that we are looking at just a portion of the sacred story; the tone is quite different on Easter Sunday, for example. There is a time and a season for everything, if not every verse, within a well-constructed lectionary. There is a time to rejoice. And there is a time, as we read in 1 Thessalonians, to be serious. Yet there is never a bad time to put on the breastplate of faith and love. May we wear it always.